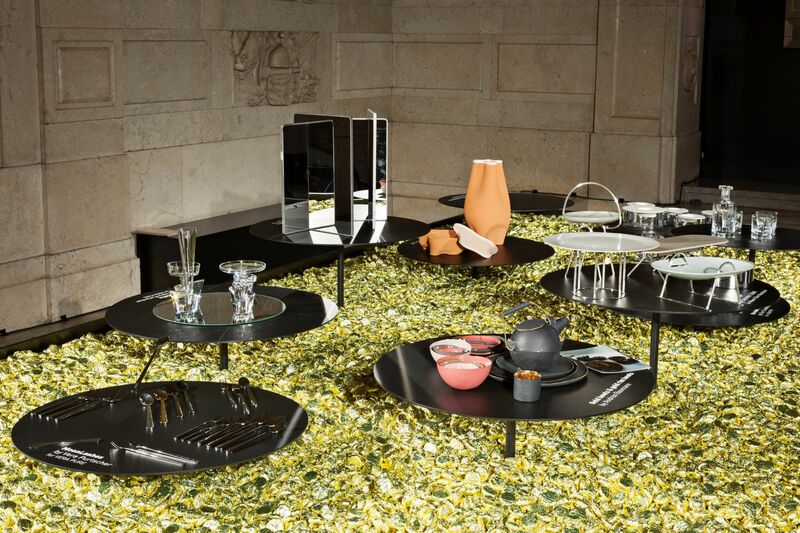 VERA PURE is back to the Milano Design Week – Selected by a renowned jury, Vera Purtscher’s MoonLashes silverware and SinStella crystals collection are up on display at the “Austrian design – Pleasure & Treasure” exhibition at the stunning Sala Reale at the Milano Central Station. The Sala Reale, once the waiting room of the Royal House of Savoy at Milan’s central station, is rarely accessible to the public and will open its doors for the first time during Design Week for the exhibition “Austrian Design – Pleasure & Treasure”. Visitors can expect a unique scenographic experience: in order to view the Austrian furniture and interior design highlights up close, they will have to wade through a spacious foam bath. The magnificent Sala Reale will become a design pool. Hosted by the official Austrian Economic Chamber at the Fuorisalone from 9-14. April 2019, the exhibition will highlight traditional manufacturers like Wiener Silbermanufaktur, Leitner Leinen, Lobmeyr, Bene and other Austria’s finest designers. VERA PURE will showcase the MoonLashes silverware and the SinStella crystals collection, as well as the design highlight, the imperial flute of the royal wedding of Prince Harry & Meghan Markle, to the broader public. News & Recipes by some of the best Chefs in the World! I agree that my data is being processed to send this newsletter. More information about privacy. Get your first Recipe & Subscribe!